1. There are 2400 flea species in the world, they vary in color (yellow to black), size (1 to 16 mm). 2. Fossil flea remains have been found from the Paleocene area (60 million of years ago!!). 3. The wingless condition has been an adaptation to the parasitic life since the wings can get tangled in the host’s hair. 4. Fleas can cause skin problems such as flea bite dermatitis which is one of the most common skin allergies in dogs. 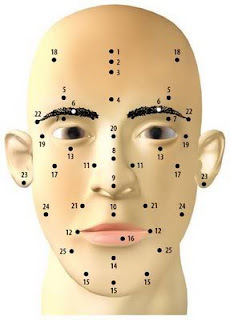 Additionally, they can play a role in skin infections. 5. Fleas can cause intestinal parasites. Ingested fleas transmit tapeworm which is one of the most common intestinal parasites seen by petowners. 6. Fleas can cause anemia. Dogs infested with fleas, can become anemic. Heavy flea infestations may even cause death. 7. Fleas can live for about 100 days. 8. A pair of fleas can produce 400-500 offspring in their lifetime. 9. Fleas don’t fly. They jump from one place to another. 10. A flea can jump up to 8 inches high. That's 150 times it’s own height.If you could do this, you'd be able to leap over even tall skyscrapers. 11. Fleas are parasites that feed on blood. 12. Fleas can live on any warm-blooded animal, but seem to prefer to live on humans, cats, dogs, opossums, rats and other rodents. They can also be found on shoes, pant legs, or blankets. 13. Fleas are best known for spreading the Bubonic Plague. They also transmit the bacterial disease murine typhusto humans through infected rats. Their saliva causes allergic reactionsin pets and humans. Fleas canalso transfer tapeworms and cause anemiain pets. Flea bites cause painful, itchy red bumps. 14. Fleas don’t have ears and are virtually blind! 15. A flea can jump 30,000 times without stopping and when it jumps it accelerates 50 times faster than a space shuttle!! 16. Fleas date back 40 million years. 17. Fleas can pull 106,000 times their own weight, which is like you pulling 2,679 double decker bus!! 18. Fleas are very hardy persistent parasite. It is Fleas Awareness month here at French’s Homestead Vet. 19. There are many steps that need to be taken to control fleas as well as treat them. If your pet gets fleas, just treating your pet will not solve the problem!! 20. Eggs are laid loosely on the host animal (usually domestic cats and dogs) and drop off the host body in areas where frequented. This is why some people think that they are sand fleas. 21. Fleas can remain dormant in the pupa stage for up to a year waiting for a blood meal. 22. Adult fleas excrete undigested blood as an extra food source for their young. 23. Fleas are wingless with legs equipped with claws, which enables them to jump onto the host animal extremely well. They are equipped with piercing sucking mouthparts. 24. Fleas inject saliva containing anti-coagulants that causes irritation which may last for days. 25. Fleas have a ravenous appetite for blood and a phenomenal capability to reproduce. 26. Fleas begin feeding within minutes of arrival on your pet. 27. Adults spend an entire life cycle on your pet; this is their blood meal, they have no reason to leave. 28. 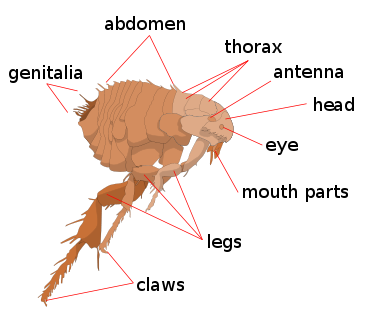 Fleas begin laying eggs about 24 hours after feeding. 29. Clean and vacuum frequently. 30. Keep your yard clean of garbage and pet droppings. 31. Protect pets by keeping them on a leash when outside, give them lots of baths, give them monthly flea and tick treatments and take them to the vet at least once a year to make sure they haven’t been infested. 32. If you think you have fleas in your home and property, call a pest management professional!